TransCONNECT is a social marketing program and digital training platform offering HIV care providers capacity and competence in caring for transgender and non-binary patients, with a focus of youth 16-25 years of age. The program offers education on transgender and non-binary gender identities, cultural humility, trans & non-binary experiences in healthcare settings, HIV care and prevention, and best practices when working with marginalized identities. This digital training targets medical and HIV care providers and the transgender, non-binary and gender expansive community. 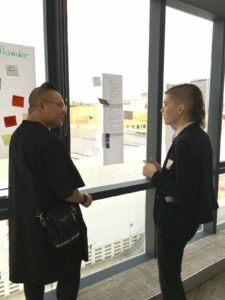 TransCONNECT was designed using a youth-centered health design process, where the voice of the trans community and providers who work in trans healthcare and specialize in HIV care and prevention are present. TransCONNECT is aimed at uniting marginalized patients and inclusive providers; continually working towards an overarching goal of non-stigmatized care.